Wholesale top quality self contained marine air conditioners,marine type ex-proof air conditioner,marine cabinet air conditioner,marine self-contained AC Unit,marine air conditioner from China. 1.Use semi-hermetic piston compressor and high efficiency low noise fan motor. 2.Include standard and non-standard unit. 3.Use high efficiency air cooled condenser, high heat transfer capacity, low power consumption. 4.Can suit high temperature,low temperature and super low temperature condition. 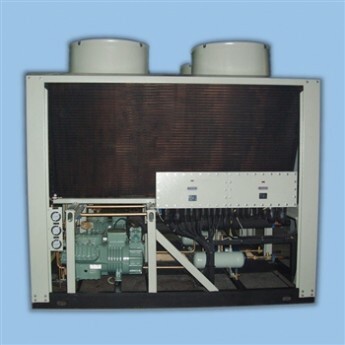 Standard Air cooled compress-condensing unit configuration: compressor, crankcase heater, hydraulic safety switch( except anise machine), air cooled condenser, accumlator, filter drier, dashboard, B5.2 frozen oil, gas protection, intercooler. Non-standard unit: According to custom`s specific requirement and actual situation then design.